The RKVY was launched in August, 2007 to achieve 4% annual growth in the agriculture sector by a holistic development of agriculture and allied sectors. The scheme aims at incentivising States to increase public investment in agriculture and allied sectors and enable them to generate additional growth in agriculture and allied sectors through better planning and by undertaking appropriate growth-oriented projects to achieve this goal. The main objectives of the IWMP is to restore the ecological balance by harnessing, conserving and developing degraded natural resources such as soil, vegetative cover and water. The outcomes are prevention of soil run-off, regeneration of natural vegetation, rain water harvesting and recharging of the ground water table. This enables multi-cropping and the introduction of diverse agro-based activities, which help to provide sustainable livelihoods to the people residing in the watershed area. It also promotes cost effective and proven technologies to support watershed management. In order to promote the new symbol of Rupee i.e. the same has been encoded in Unicode Standard and National Standard ISCII. The new symbol has also been placed on the keyboard and by pressing “Alt” + “4” keys together it can be typed. Detailed information is hosted on TDIL Centre (http://tdil-dc.in/) for the benefit of the users at large. 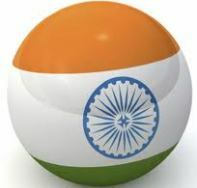 India would be entering into an agreement with the World Bank for soft loan worth US$1 billion (approximately Rs. 4,600 crores) to implement the National Rural Livelihoods Project (NRLP) under National Rural Livelihood Mission (NRLM). NRLP will assist in professionalization of the overall program management of NRLM by shifting the focus of expenditure-based allocation, to provide quality technical assistance and results-based financing.Government has restructured one of its key rural development programs, the SGSY, through the establishment of the National Rural Livelihoods Mission (NRLM) with a clear objective of rural poverty reduction through creation and strengthening institutional platforms of the rural poor. It is being implemented in 28 states and 7 union territories in India. NRLM is one of the world`s largest poverty reduction initiatives aimed at reaching out to 350 million people, almost a quarter of India`s population. Based on the past experience in several states, NLRP is expected to have a transformational social impact, supporting India`s efforts to achieve the millennium development goals (MDG) on nutrition, gender and poverty. JNNURM was launched on 3rd December, 2005 with the objectives of augmenting infrastructure facilities in cities and towns along with provision of shelter and basic civic services to slum dwellers/urban poor. The Sub-Mission of Basic Services to the Urban Poor (BSUP) under JNNURM provides Additional Central Assistance to States/UTs for taking up projects for housing and infrastructural facilities for slum dwellers/urban poor in 65 select cities in the country. Other cities and towns are covered for similar support under the Integrated Housing and Slum Development Programme (IHSDP). NPCIL’s second pair of indigenously designed 700 MW Pressurized Heavy Water Reactors (PHWRs) – RAPP-7&8. On their completion, 1400 MW capacity will be added to the Northern Electricity Grid, of which 700 MW will be allocated to the state of Rajasthan. The indigenously designed 700-MW PHWR is the latest, state-of-art-technology nuclear power reactor, which has been designed by NPCIL by scaling up its 540-MW PHWRs (TAPS-3&4) that are under successful operation at Tarapur in Maharashtra since 2005. Two more 700-MW PHWRs are also under construction at Kakrapar in Gujarat. The 700-MW PHWRs have advanced safety features, including passive safety systems that work on natural principles like gravity, natural convection, etc. and do not need operator intervention or motive power to ensure reactor safety under any state of operation. There are two independent and diverse safety systems to shut down the reactor, a ‘Passive Decay Heat Removal System’ to ensure cooling of the reactor core even in conditions of total loss of power, and steel-lined inner containment to contain the entire radioactivity within the reactor building even in a severe accident scenario. ‘SANGAM’ will provide useful Management Information System (MIS) to the financial planners in the Ministry of Defence.There are about 18 lakh defence pensioners who will be benefitted with the launch of project ‘SANGAM’ in the long run. It will also help in grievance redressal of pensioners with regard to the correctness of payment of pension. DRDO successfully flight tested its latest surface to surface Missile `PRAHAAR’ from Launch Complex III, off Chandipur Coast, ITR, Balasore, Orissa today. The Missile with a range of 150 kms, fills the vital gap between Multi Barrel Rockets and Medium Range Ballistic Missiles. The Missile capable of carrying different types of warheads, operates as battle field support system to the Indian Army. RAY envisages a ‘Slum-free India’, where every slum dweller and urban poor will have access to basic civic and social services and decent shelter. It will bring existing slums within the formal system and enable them to avail the same level of basic amenities as the rest of the town; redressing the failures of the formal system that lie behind the creation of slums; and tackling the shortages of urban land and housing that keeps shelter out of reach of the urban poor. Central Government will bear 50% of the costs of slum redevelopment. The amendment is for enhancing reservation for women in Panchayats at all tiers from 1/3rd to at least 50%. Aerosol particles in the atmosphere impact the health of humans and influence monsoon and global atmospheric circulation systems. Some aerosols ,like sulphates, produce clouds which cool the Earth by reflecting sunlight back to space, while others, like soot, produce thin clouds in the upper stratosphere which behave like a greenhouse, warming the Earth. On balance, anthropogenic aerosols probably produce a net negative radiative forcing (cooling influence).Aerosols reduce crop yields by falling on fields, and also clog up human lungs, contributing to millions of deaths from lung and heart disease.